Purchase this digitally from Bandcamp. ROMP's debut LP, Departure From Venus, is very good. ROMP is tight. If you listen to the first single "Last Year," you'll find yourself in the middle of a kinda punk-y, kinda poppy track where vocalist Madison Klarer injects stark lyricism over driving, guitar-led musicianship. 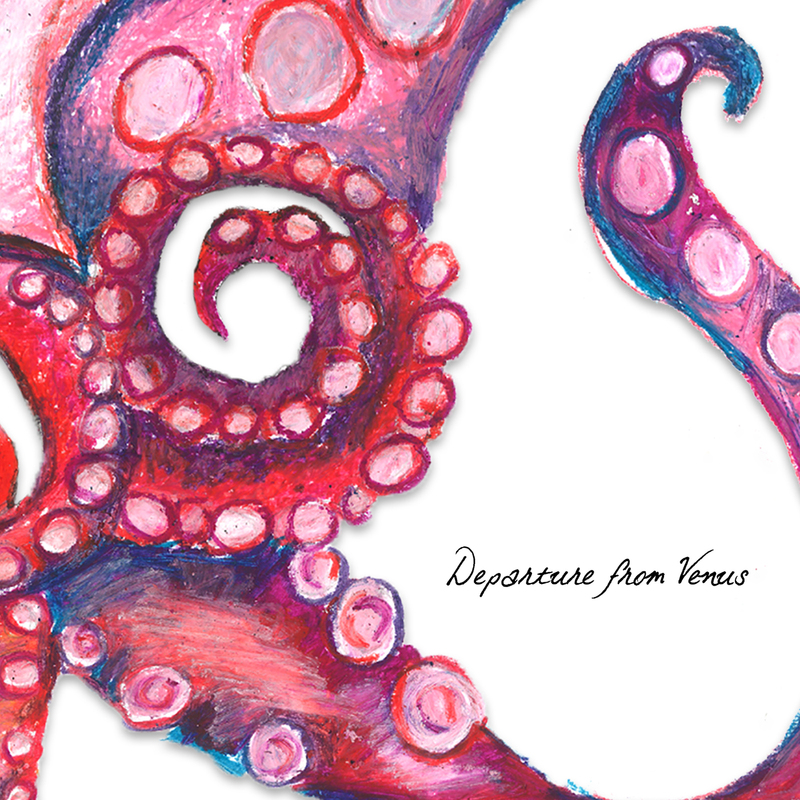 We think it might be called angry pop, or maybe it's called punk-pop, or something like that, but whatever it's called, we think this New Jersey band is awesome, and Departure From Venus is just the first step in them figuring out their sound. Digital downloads will be delivered with all orders. 1. a spell of rough, energetic play. 1. fixed, fastened, or closed firmly; hard to move, undo, or open. "she twisted her handkerchief into a tight knot"
(of a community or other group of people) having close relations; secretive.